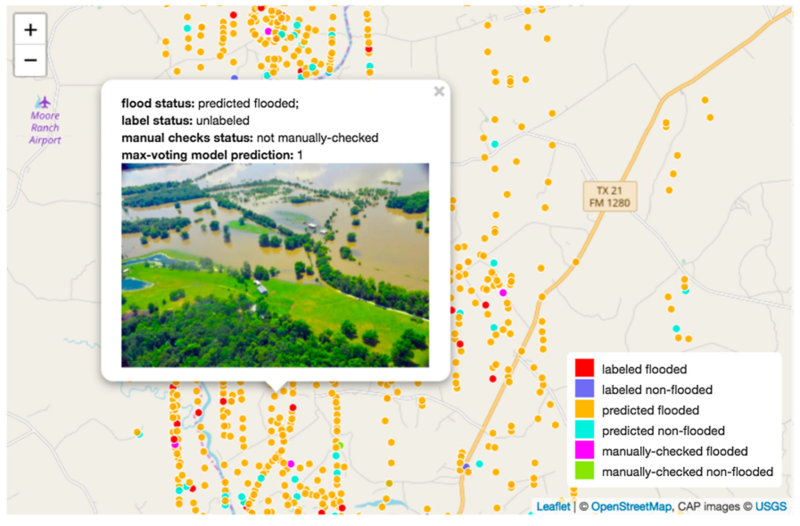 New machine/deep learning paper led by Liping: Analysis of remote sensing imagery for disaster assessment using deep learning: a case study of flooding event . A full-text view-only version of the paper can be found via the link: https://rdcu.be/bpUvx. This post provides some commonly used conda command. (I use Mac and Linux OS, so the commands here assume that you use Mac and Linux OS. If you are using Windows, most of the conda commands should be the same, but some command might be slightly different. For example, the one I am aware of is that the command for activating and deactivating conda environment is a bit different, you do not need to add “source” in the command like Mac and Linux OS do). The first part of this post introduces common conda commands, and the second part of this post provides some package installation ( e.g., OpenCV, scikit-image, jupyter notebook etc.) using conda. #if you see something like below it means conda is installed, and it provides its version info. # Upadate any packages if necessary by typing y to proceed. with conda, we can create virtual environment for different versions of pythons. To see a list of available python versions available in conda repository, type the following command with regular expression and then press enter. use the following command to create a virtual environment for a python version you specified, replace x.x with the Python version you would like to use. # for example, the following command will create a Python 3.6 conda virtual environment called "conda-venv3_py36". # the following command will create a Python 2.7 conda virtual environment called "conda-venv_py27". Once we created a virtual environment using conda, before we start to using it, we need to activate it first each time we need to use the virtual environment. To activate or switch into your virtual environment, simply type the following where yourenvname is the name you gave to your environement when creating. Activating a conda environment modifies the PATH and shell variables to point to the specific isolated Python you created. Note that the command prompt will change to indicate which conda environemnt you are currently in by prepending (yourenvname). # yourenvname is the name of your environment, and package-name is the name of the package you would like to install. # Note that if not specify “-n yourenvname” will install the package to the root Python installation. (6) Deactivate your virtual environment. Each time once we finish working in your virtual environment created using conda, we will need to deactivate the virtual environment to exit from it. To end a session in the current virtual environment, enter the following command . # Note that we do not need to specify the envname - whichever is currently active will be deactivated, and the PATH and shell variables will return to normal. When we do not need a virtual environment created by conda any more, we can simply remove it by the following command. # yourenvname is the name of the environment you would like to delete. # NOTE: replace myclone with the name of the new environment. Replace myenv with the name of the existing environment that you want to copy. You will see a list of all your conda environments, and the active environment is shown with *. Before installing packages using conda, make sure to first create a conda virtual environment [see the command at (3) in section 1 above in this post] and then activate and into the environment you would like to install the packages into [see the command for (4) in section 1 above in this post]. The command above will install (by default) the latest version of opencv available in the conda repository. if you would like to specifiy which version of openCV to install, you can first use the following comamnd to check OpenCV versions available. # you should see a list of openCV versions. # for example, the following command will install openCV 3..4.1, instead of the current lastest version 3.4.2. Note that is opencv==3.4.1, not opencv=3.4, if opencv=3.4, it will install openCV3.4.2 (the latest version in 3.4 series). This post introduces how to install Miniconda on CentOS 7 / RedHat 7. Step3: To make the changes take effect, close the terminal and open a new Terminal window. # If you see something like the following, it means Miniconda is successfully installed on your Linux OS. To uninstall Python Anconda/Miniconda, we just simply remove the installation folder and remove the environment variables set in .bashrc file. For my installation, it will be just like this. For commonly used conda commands check this post. For the comparison among Anaconda, Miniconda, and Virtualenv with pip, check this post. This post introduces how to install Miniconda on Mac. see the highlighted in the pic below. A file called Miniconda3-latest-MacOSX-x86_64.sh will be shown in your Downloads folder. 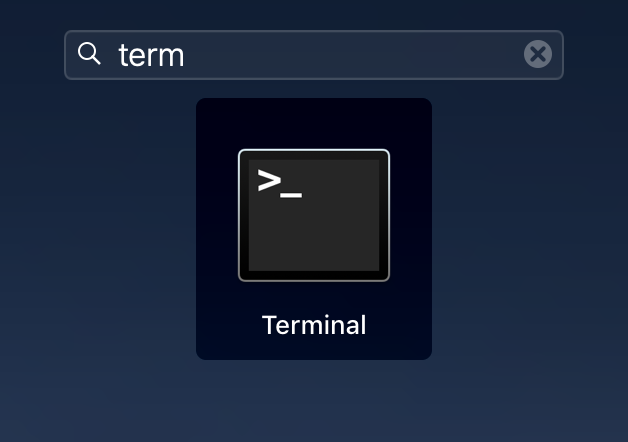 Step 2: Open a Terminal window. In the terminal window, type in the following. Scroll through the license (press the Space bar or Enter to move through quickly), type ‘yes’ to approve the terms, and then accept all the installation defaults. 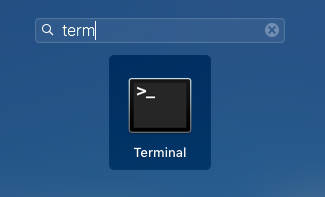 Step 4: Close the Terminal window, and open a new Terminal window. in the newly opened Terminal window. If you see something like the following, it means you have successfully installed conda via miniconda on your Mac. To uninstall Python Anconda/Miniconda, we just simply remove the installation folder and remove the environment variables set in the hidden file .bash_profile in your home directory. For my installation, it will be just like this. Then, you can edit the .bash_profile file and remove the following entries added for Anaconda/Miniconda directory from your PATH environment variable. If you do not know where the hidden .bash_profile is located and how to edit it, see below for detailed instructions. (1) Open a new terminal and go to your home directory. You can do this by using the command below. (2) use the following command to list all files, including hidden files in your home directory. # you should see there is a file called .bash_profile. (3) Use the cat command to see the contents of the hidden file .bash_profile. Type the following command into your terminal. You will see something like the following (depends on what you installed, if you installed Miniconda3, you will only see the first two lines. If you installed Anaconda3, you will see the bottom two lines. (4) To remove installed Miniconda/Anaconda from your .bash_profile use the command below to edit the file using the nano editor. Remove the Miniconda /Anoconda path in your .bash_profile hidden file. Save changes by typing Y. Close the terminal, and now Miniconda/Anaconda should be successfully uninstalled from your Mac. This page provides the instructions for how to install and run IPython and Jupyter Notebook in a virtualenv on Mac. Most probably your Mac has already come with Python installed (see step 1 and step 2 below to check whether Python and Python 3 is installed on your mac, because my Mac book air has both Python and Python3.6 installed, I will go ahead to step 3 to install virtualenv). Open a terminal on your mac and type in Python and Python3 to see whether Python and Python3 installed on your mac. See below for example. Follow the steps below for detailed instructions. To test whether your Mac has Python 2.x or 3.x, look at the instructions below. I recommend you download Python 3.5.4 from here, if you do not have Python 3.x pre-installed on your mac. Click the installer and install it following the wizard. When you finish the installation, type python3 in your terminal, if you see similar stuff in the pic below, Python 3.5 is installed successfully and you are ready to proceed to step 3. Note: the command text in blue is the exact command you should type into your terminal, the same through this whole instruction. Issue the command below to set up a virtualenv environment that we will use later, using the vitualenvwe installed in step 3 above. Before installing IPython and Jupyter Notebook, be sure to activate your python virtual environment first. The Jupyter Notebook and other frontends automatically ensure that the IPython kernel is available. However, if you want to use a kernel with a different version of Python, or in a virtualenv environment, you’ll need to install that manually. We are using virutalenv, so we need to install IPython kernel in the virtualenv we created in Step 4 above. (ipy-jupyter-venv3) liping:~$  python3 -m ipykernel install --user --name myipy_jupter_env3 --display-name "ipy-jupyter-venv3"
Step 9: Before we are running our jupyter Notebook, let us create a folder from which we will start our jupyter notebook. the following command will change our directory into the folder we just created. Then your default browser should automatically open a web page similar to the one shown below. If the web page does not show up automatically, just type localhost:8888 into your browser, you should see the page shown above. By this point you should have Jupyter Notebook running, and you should be connected to it using a web browser. Jupyter Notebook is very powerful and has many features. Below I will outline a few of the basic features to get you started using the notebook. Automatically, Jupyter Notebook will show all of the files and folders in the directory it is run from (for our case, it is empty now, because we have not put anything in that folder Desktop/test_jupyter we just created in step 9 ). Hit Ctrl + Enter, you will see it the text changed into heading style. Then insert one cell by the menu shown below (insert Cell Below). and then hit Ctrl + Enter. You should see the following. Step 12: Stop jupyter Notebook. Next time when you need to use you jupyther notebook, following the steps summarized below. Congratulations, you have now set up ipython and jupyter notebook on your mac! This post introduces how to serve the figures generated by matplotlib to django web app without saving on the server. Note: the two lines of code above in blue need to be placed at the very beginning of the py script; otherwise, you would meet the following error: _tkinter.TclError: no display name and no $DISPLAY environment variable. Note: in the function that you defined to pass the image data to the front end template file in your views py file, remember to send the value of the variable image_base64 via, for example, json. Now, in your front end template file, you can add the following image tag. For more details about using data url to pass image data to front end html file, check here (pdf). 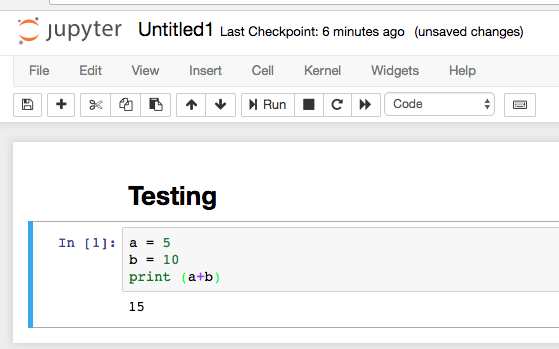 This post provides some tips about Jupyter Notebook. When you open a pdf file in a browser via your running Jupyter Notebook. You will see your beautiful fig or document in pdf format. change view to edit in the url address of the file, see the following for an example, then you should be able to edit your html file.